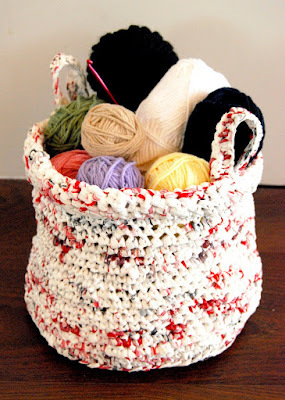 Crochet basket pattern from Chickpea Sewing Studio & Orange Flower. Wow. This is so cute. I wouldn't have guessed it was made from plastic bags.